Nominations for the 2018 awards are now open. Submit your nomination by 5pm on Monday 13 November 2017 for the person, organisation or event that you believe has made an outstanding contribution to the Brisbane community and tell us why you think they are deserving of an Australia Day Award. The person nominated must live in the Brisbane City Council area at the time of nomination. Listed below are the various categories with the criteria listed and the nomination form in the website listed below. The Chief Commissioner hopes that we can generate as many nominations as possible from each eligible region but even 2 per region would be an advance on our previous efforts. 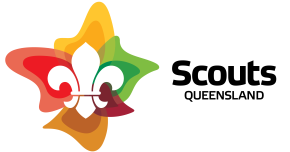 When you or your delegated person submits a nomination please advise me ipcc@scoutsqld.com.au the person’s name, category and Region so that we I can monitor our success for Daryl. Today’s Scout takes part in extraordinary outdoor activities, from ‘traditional Scouting skills’ like camping and bushcraft to even more extreme challenges like abseiling, rafting, overnight hiking, rock climbing, sailing… even flying!